For more information on Ms Nevada Senior America, contact us today! 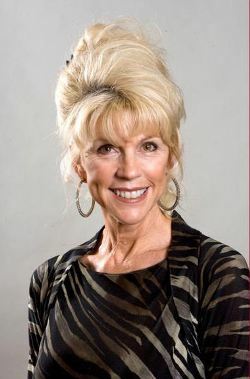 CONGRATULATIONS to KATHLEEN 'KAT' RAY, MS. NEVADA Senior America 2013! And SPECIAL THANKS TO STATE DIRECTOR CHARLIE CHRISTY and the NEVADA CAMEO CLUB FOR ANOTHER WONDERFUL PAGEANT! A 4.0 Scholarship student, Kat continued on into a successful career in Real Estate Finance, eventually owning "Interworld Group Inc." - an international Hotel development company. She presently coaches, and trains hundreds of Agents each year in Sales/Presentation Skills. Kat is a member of the "Distinguished Women in Southern Nevada", "Who's Who Worldwide", "National Register of Who's Who", "The Social Register of Las Vegas," and a graduate of the "Leadership Las Vegas" Class of 1999. She has served on the Board of Directors for "The IAM Youth Foundation" the "Music for H.O.P.E, Foundation"- and participates with "Life Long Dreams" as a singer/performer where challenged kids are teamed with entertainers to put on a grand performance each year. Kat was co-owner of "WENA Productions," which produced a popular syndicated TV show, "America�s Moving to" which she co-hosted for several years. She is currently the Broker/Owner of "Subdivision Sales. Inc."- a successful Sales, Marketing, and Training firm, as well as Corporate Broker for "Apartment Management Consultants (AMC)" in Arizona. Kat is a highly recognized singer/performer and has been voted "Entertainer of the year" by two different sources, as well as nominated "Top Female Jazz Vocalist" in Las Vegas. She is a top MC and Host, performing at various Private and Corporate events and enjoys donating her time and talents to many charitable organizations.